Barbados Tourism Authority, here’s your chance. It’s minus 40 Celsius in Alberta! UPDATE #3: Take our poll about whether to de-link Dan Jurak’s blog or not. Well folks… sometimes ya can’t win for losing. What’s that about “no good deed goes unpunished” ??? Then Dan comes onto Barbados Free Press and leaves a comment saying he’s not interested in sunny Bim. No problem Dan. You can be sure of one thing: we’ll never bother you again by linking to your blog or mention giving you a free trip anywhere. Have a very Merry Christmas! Poor Dan Jurak lives outside of Edmonton, Canada and writes the Alberta Landscape Photo Blog. This morning his post -40 Celsius on the Alberta Prairie was featured by WordPress. The above photo is from Dan’s article and my my my that does look a bit on the chilly side. I guess the folks at WordPress felt sorry for Dan too! Here’s an idea for the Barbados Tourism Authority that could be worth some excellent free publicity: Fly Dan and his family to Barbados for free for a week and put them up at the Hilton. Heck, it’s not like it would cost hardly anything at all. The government (that’s us, the people) own the Hilton and West Jet flies here and they are based in Alberta. 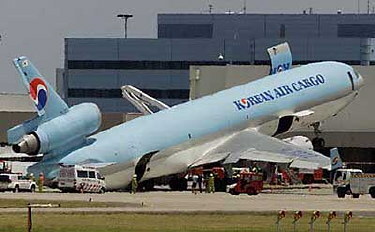 If the PM called up the President of WestJet and asked nicely they would probably fly the Jurak family down here for free. The plane is going anyway and there’s bound to be a few empty seats. Then pump the story in the Canadian news media…. People of Barbados saw Dan’s -40 Celsius story on a blog, felt sorry for him and fixed his family up with a free trip to the friendly people and warm sun, sand and rum of Barbados. Have some big shots meet the family at the airport. Maybe invite them to a fine Bajan meal at the PM’s place. And to top it off, Mr. Jurak is an accomplished professional photographer and designer and he’d probably be happy to click away in Barbados and tell everyone about it on his blog, Naturally, the Bajan news media and bloggers would follow his adventures in Barbados. According to the news, the Canadian winter so far has been brutal, so maybe some chilly Canadians would be inspired to visit us for a week or two. And to include the US market where the winter has also been brutal in the past week, the BTA could probably find an American blogger freezing to death in the American midwest and northeast and repeat the whole process. It could even turn into an annual winter event with freezing Yanks and Canucks trying to attract the sympathy of Bajans for the two free vacations. How about it, BTA? What do you think… worthwhile idea or not? If so, you can surely contact Dan through is blog. One Christmas afternoon way back found me sitting alone, homesick and sorry for myself in a crowded pub somewhere in London listening to Chrissie Hynde sing “2000 miles”. I won’t say there were thoughts of suicide running through my head but there is little doubt that the more Jack Daniel’s “sour mash whiskey” I drank, the darker the world looked. 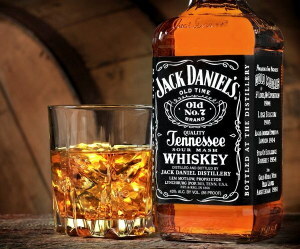 Jack was the drink of choice in those days because I was flying right seat with an American freight company and the engineer-slash-loadmaster was an old drunk from the state of Tennessee who couldn’t calculate center of gravity if his life depended on it. The trouble was that his life did depend on his calculations, as did mine. I was upset because I’d been rejected again by another major carrier and thought the rest of my life would be spent confined on 3rd rate flight decks with people I hated. I might have had a better attitude if I’d have known that five years in the future I’d be lying on my back drilling out bad rivets just to put food on the table. Anyway, there I sat tipsy and morose when a cheery voice said “Merry Christmas” and I looked up to see a woman who was more than a little older than me slide into the empty seat beside me. I can only say that there was something magical in the air and we sat and talked and ate and laughed together for the rest of the evening until they started with the “Time, gentlemen, please” song. We said goodbye at the pub door and never saw each other again. We could have gone back to my hotel or hers but that would have spoiled the feeling of the evening, so without a word we mutually agreed to leave it as it was. Can you understand that? Her worldview fascinated me. She was a true believer that everybody was good at heart and would do the right thing when push came to shove. Like John Lennon, she envisioned a world where everybody agreed on everything and no one was selfish or acted in their own narrow interests. If she could only properly explain it to people, they would listen and the world could change. Because everyone is, in their hearts, a good person who would do the right thing if given half a chance by circumstance and other people. In her world Idi Amin Dada would have stopped in his tracks with a word or two and a hug. She almost had me convinced, but the feeling wore off just about when the Jack Daniel’s did the next morning. But that’s another story and this article is about Barbados politics and governance. Peter Boos wrote a piece at the Business Barbados website calling for a New Model for National Governance. Peter has it in his mind that somehow we can all come together and leave our narrow interests at the door for the good of the country. We (the taxpayers) need better value for the large amounts of cash we hand to our Government to spend on our behalf. Strengthening of our young Social Partnership is essential and is possibly the best solution now. The current partnership however needs more substance,direction and accountability. How about the Social Partnership being held responsible for developing and constantly updating and reporting on the National Strategic Plan and on how well it is being implemented? I like much of what Peter says, but without laws regulating behaviours, applied to all equally and fairly (that’s Rule of Law), nothing he suggests will come to anything. Arthur, Mottley, Thompson and the others like to do as they please and that’s why they never implemented Integrity Legislation or Freedom of Information laws. Prime Minister Thompson promised to implement a Ministerial Code of Conduct IMMEDIATELY upon taking power in January, 2008. The DLP Cabinet rebelled when Thompson proposed a change to government policy that would have prohibited Ministers and other government employees from issuing government contracts to companies they or their immediate family members had an interest in. And that is why for the last two years Prime Minister Thompson left it legal for government officials to issue contracts to themselves when the Prime Minister could have declared a prohibition in January 2008 as he promised.